One of my favorite books of the year was published a decade ago. It's not surprising that I missed it then; I was still in college, reading what was assigned and little else. 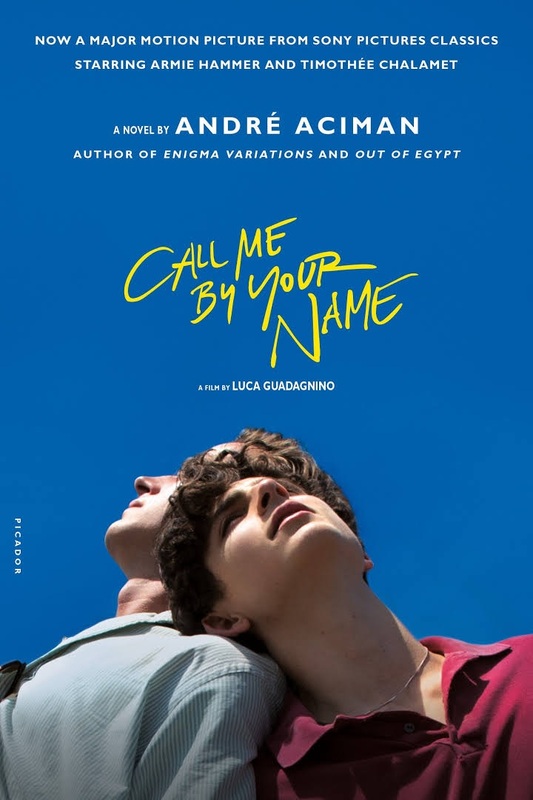 So I can't tell you what the initial reception for Call Me by Your Name (Picador paperback, $17) was, just that André Aciman's seminal novel found me exactly when I needed it. Better late than never. Luca Guadagnino's film adaptation hits U.S. theaters on November 24. I was lucky enough to catch a screening in June. It's an exquisite depiction of Aciman's moving Italian romance between 17-year-old Elio and 24-year-old visiting grad student Oliver. In lush northern meadows, sultry Roman alleys and Elio's elegant family villa, the two carefully tangle themselves into a splendid summer affair. It's not always obvious how either feels. Oliver can be brash and fulsome; Elio aloof and critical. Most notably he fixates on Oliver's brusque American excuse for a proper goodbye: Later! I read the novel within a month of seeing the film, and will attest to the brilliance of both. Aciman crafts his narrative around recollection and nostalgia, a young man sifting through emotion and memories after the fact. One moment blurs into the next as Elio seeks to make sense of his feelings for Oliver and the fleeting nature of their relationship. Guadagnino pulls a much more linear story from this poignant tumult, residing fully in each smoldering moment. Timothée Chalamet embodies Elio's sophomoric ambivalence to such a marvelous degree it made me ache. Armie Hammer plays Oliver with a dashing vivacity that has ruined me for other men. "Gather your writer friends, stock up on snacks, and pull out your fluffiest pillow," Quirk Books suggested in sharing tips on how to host a writing party for National Novel Writing Month. Pop quiz: "Do you know which book came out first?" Buzzfeed asked. Poet Solli Raphael from Coffs Harbour in New South Wales "delivers an encore performance after becoming the youngest winner of the Australian Poetry Slam national final," the Guardian reported. "Nobody knows how the story ends." Mental Floss shared "9 things you might not know about Margaret Atwood's Alias Grace." A pet shelter in Orlando, Fla., "sorts their animals into Hogwarts houses to help them find forever homes," Bustle noted. 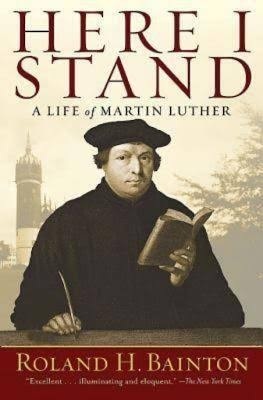 October 31 marked 500 years since German priest Martin Luther nailed his Ninety-five Theses to the door of Wittenberg's All Saints' Church, sparking a schism that upended centuries of Roman Catholic hegemony in European religious life. What began as a theological argument against church indulgences, in which monetary donations could take the place of actual repentance, escalated into the Protestant Reformation. The many social and political legacies of that religious movement continue to shape the modern world. Megan Hunter was born in Manchester, England, in 1984, and now lives in Cambridge with her young family. She has a B.A. in English Literature from Sussex University, and an M.Phil. in English Literature: Criticism and Culture from Jesus College, Cambridge. 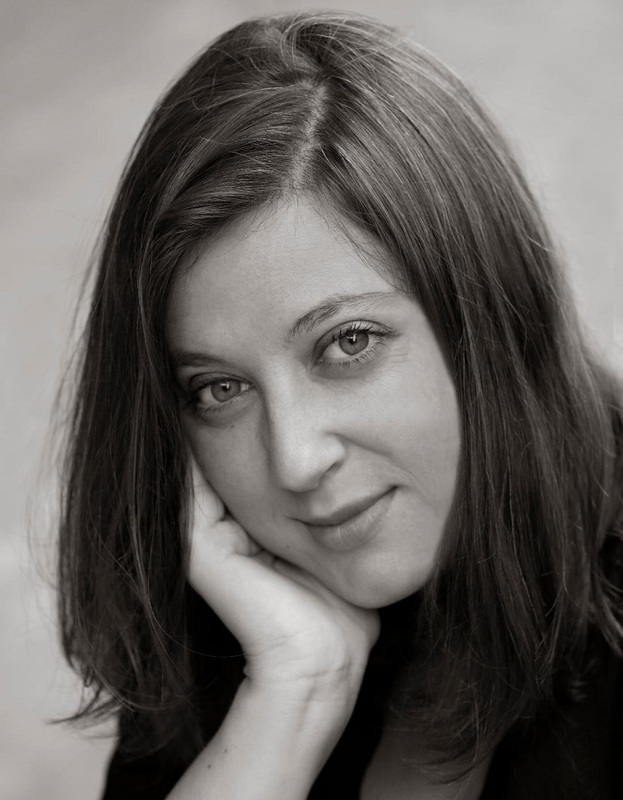 Her poetry has been shortlisted for the Bridport Prize, and her short story "Selfing" was a finalist for the Aesthetica Creative Writing Award. 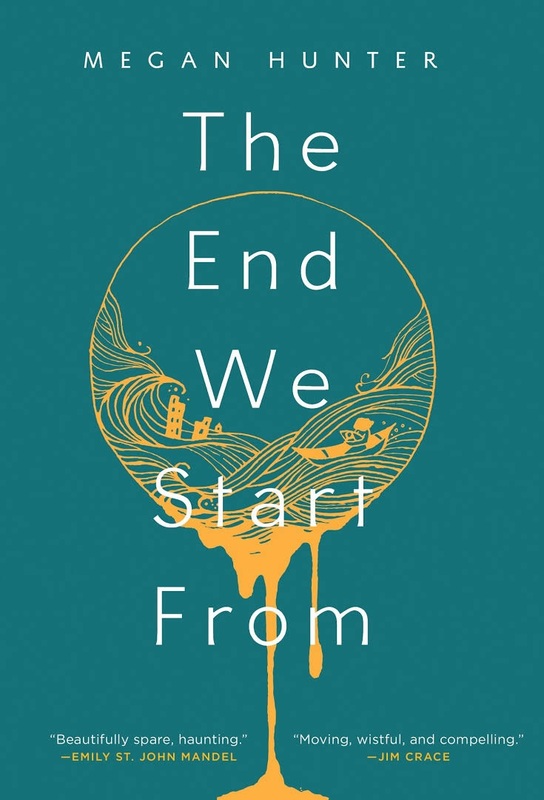 Our review of her first novel, The End We Start From (Grove Press), is below. Have you read much science (or speculative) fiction? Do you admire any SF writers in particular? I often think that I haven't read much SF--I've not read Ursula Le Guin's work, for example, although I'd like to. But then I think of books I love such as The Handmaid's Tale, The Road, How I Live Now, Northern Lights, and of the loves of my childhood--Narnia featured heavily there, as did Jules Verne's Journey to the Centre of the Earth. I always remember that sense of the imaginative leap in those books--my favourite Narnia book was The Magician's Nephew, in which they travel to many different worlds and dimensions. The language in this book is beautiful, but the characters themselves are nameless (except for the baby). They are also speechless; there is no directly reported dialogue. What led you to make these choices? They didn't really feel like choices at the time, more like instinctive moves dictated by what seemed to be the demands of the form and voice of the book. Looking back, I think that the namelessness of the characters fits with the dual sense of the book as modern fable or parable, and as an intimate piece of writing to the self, as in a diary or notebook. Names wouldn't be needed or necessarily appropriate in either of these contexts. This way of looking at the book also works for dialogue--in a notebook (or fairy tale/parable) there wouldn't usually be large amounts of dialogue. The narrator is very much in her own head, and so speech with others is peripheral to her experience. She also has a wordless relationship with her baby for much of the book, and becomes very much rooted in her potent physical experiences. Much of the book consists, as I see it, of the narrator giving voice to wordless experience--and also leaving that experience to speak of itself, in the space and silence that surrounds each section. Did you do any reading to support your writing, for research, form, musicality? In terms of form, I was influenced by fragmentary works by writers including Anne Carson, Jenny Offill, Maggie Nelson and David Markson. These writers showed me that there was a way of writing in which I wouldn't feel that poetry and prose fiction were necessarily contrasting forms pulling in different directions--that I could bring my poet self together with my novel/fiction self. And in terms of musicality, my reading of all kinds of poetry was my main guide there. If a sentence didn't stand strongly enough in its own right, it was deleted, or at least edited heavily. In this way my process was similar to my experience of writing poetry--I was looking for a sense of the unexpected, for a certain playfulness with language. How long did it take you to write this? How would you describe yourself as a self-editor? The first draft came quite quickly--in around six months. I was editing as I went along, so there was minimal editing at first, and then a longer process with my agent and then my editors in the U.K. and the U.S.--probably around eight months altogether, through all the different stages. As a self-editor, at least in this book, I worked line by line, word by word, often playing with an individual sentence for days at a time. When I worked with editors, it was more looking at overall questions of character, plot, etc. And of adding things--I was fairly cautious at this point, reluctant to add too much to a text that seemed to have been formed in a single creative impulse/trance. Of course, it wasn't quite like that, and editing is always highly necessary. There were also some slightly comic episodes towards the end of the process involving my editor and I discussing single commas for substantial amounts of time! What books mean the most to you? Many are books I read as a teenager/young adult--often as an undergraduate. These include Frank O'Hara's poetry, Virginia Woolf (especially The Waves and Mrs. Dalloway), Jean Rhys's Wide Sargasso Sea, Marcel Proust's In Search of Lost Time, Zora Neale Hurson's Their Eyes Were Watching God, Angela Carter's Bloody Chamber and Ernest Bloch's The Principle of Hope. More recently, I have fallen head over heels with Birds of America and Who Will Run the Frog Hospital by Lorrie Moore--she blows me away with her humour and sensitivity. I also recently re-read The Bell Jar--it was even better than I remembered. The baby and new mother in this book ring very true to life. New parenthood can be difficult to write about, since the exhaustion and distraction at the time can blur your memory. Did you take notes on your children and your own state of mind in their first months? I've always written a journal/notebook, and I did jot down a few things when my children were babies, but I wasn't a particularly prolific recorder of the experience (compared to some people I know). But when my first child was a baby I did write down one line that is in the book word for word: "It seems that he is feeding me, filling me with a steady orange light." Also, just before I started writing the book we had a new baby in our extended family, and I think the experience of holding him worked as a kind of "madeleine" moment, taking me back to my own experiences six or seven years previously. Hurricane Katrina serves as a backdrop for the separation and upheaval affecting each member of the Boisdoré family. Tess and Joe's marriage, already frayed from the burden of long-buried and unspoken economic class and racial differences, becomes more tenuous after the couple evacuates New Orleans without their daughter Cora, who has gone missing. Suspecting that Cora may have been the victim of--or participated in--a crime during the storm, Tess and Joe's guilt and anger with each other intensifies. Meanwhile, the vagaries of dementia cause Joe's father, Vincent, to disappear frequently from his remote cabin, and another daughter, Del, returns from New York to help find Cora while attempting to escape her own mistakes. The Floating World begins on the 47th day after Hurricane Katrina's landfall and is told in flashbacks from the perspective of each family member to provide some--but not all--answers surrounding the reasons for Cora's disappearance. With a gripping yet deliberate narrative infused with vivid descriptions, C. Morgan Babst takes her time with this story, allowing it to build slowly and methodically with an appropriate weight, enhancing the confusion wrought by the storm. In contrast, Cora's point of view significantly intensifies the pace, lending an urgency to the novel and making her narrative feel almost cyclonic. A native of New Orleans who evacuated one day before Hurricane Katrina, Babst has an intimate understanding and knowledge of the region's people and rich culture, its topography and the complex forces of race and class. The result is a timely debut about the power of nature and its omnipresent potential for destruction in every aspect of our lives. --Melissa Firman, writer, editor and blogger at melissafirman.com. Discover: In the aftermath of Hurricane Katrina, a dysfunctional family copes with the destruction of their home and a daughter's mysterious disappearance. Isaiah "IQ" Quintabe, the Sherlock-inspired protagonist from Joe Ide's debut, IQ, is still solving crimes in East Long Beach, Calif., when he happens upon the car responsible for the hit-and-run death of his brother 10 years earlier. The junkyard discovery reignites IQ's resolve to find Marcus's killer. Even though Isaiah moved on with his life and found a role in his community, the loss of his only family haunts him. Meanwhile, Sarita, Marcus's ex-girlfriend, contacts IQ about a job. Isaiah hasn't spoken to her in nearly a decade, but he's secretly been in love with Sarita since she dated his brother; he will do anything to prove his worth to her. Sarita's half-sister, Janine, owes overwhelming debts in Las Vegas and is in serious trouble. The risks are high on this case, and a wrong move could result in prosecution for both Sarita and Isaiah. But Isaiah is determined to come through for the woman he loves, so he calls on his former partner, Dodson, and they head to Sin City. Discover: IQ, the smart and socially awkward PI, still searching for his brother's murderer, heads to Las Vegas on a case for his brother's ex-girlfriend. New parenthood often feels like the end and beginning of the world. First babies can be all-absorbing, and the sleeplessness and animal impulses can fragment a caretaker's perceptions until the outside world becomes distant and unreal. Megan Hunter's impressionistic debut, The End We Start From, narrates a woman's first year of motherhood in a flooded, imploding Britain. A nameless narrator is knocked out of her "usual cynicism" by new motherhood and an apocalyptic flood that submerges her high-rise London flat. She and her partner lose their sheltered urban lives almost the day their baby is born. "Bad news as it always was, forever, but worse. More relevant. This is what you don't want, we realize. What no one ever wanted: for the news to be relevant." They flee to her in-laws' house in the country, but nightmare dangers drive them farther north, first to a refugee camp and finally to a far island. Most of the characters are nameless sketches, and much is left unexplained, evoking the confusion and constant fear of refugees. The narrator and her baby exist in a small clear eye together at the center of a collapsing world. Discover: Precise poetic language sustains this dreamlike vision of internal and external apocalypse and reclamation. Emma Cartwright, aka Susan Webster, was convicted of murdering her four-month-old son, Dylan, in a state of postpartum depression and was sentenced to a psychiatric institution. Recently released, she's attempting to put her life back together and move forward, but the past keeps intruding. A photo of a toddler who could be her son appears on her doorstep; she sees someone who looks like him on the street; and she's haunted by dream-like images that could be reality. This leaves Susan wondering exactly what happened four years ago, when Dylan was pronounced dead. Discover: A mother is convicted of murdering her infant, but in her own mind, she knows she couldn't have done it. Turkey, straddling Europe, Asia and the Middle East, is a complex and diverse nation, as is its cuisine. Food writer Robyn Eckhardt has visited the country several times, traveling from cosmopolitan Istanbul to the country's lesser-known areas. She begins each regional profile with a brief history of the settlements and geography that make it distinctive. Istanbul's location on the edge of Europe brings us dishes with international influences, while the eastern part of the country, with its high elevation and long winters, features more limited but no less interesting fare. The southern Hatay region's Mediterranean climate is ideal for a Sun-dried Tomato and Pomegranate Salad. Head north to the inland provinces in Central Anatolia for hearty grain-based dishes, like Wheat Berries with Chicken and Tomato Butter. The far northeast, along the border of Georgia and Armenia, offers sweet triangle buns filled with caramelized corn flour, while the southeast, near the Syrian border, boasts the sweet heat of the Urfa pepper with sautéed beef and caramelized onions. Discover: Authentic and approachable, Istanbul & Beyond introduces a world of diverse cuisine to cooks eager to explore new flavors. The public knows Khizr Khan as the Gold Star father who raised the roof at the 2016 Democratic National Convention, but he pointedly concludes his literary debut, An American Family: A Memoir of Hope and Sacrifice, just as he's about to take the stage. Khan grew up in Pakistan, the precocious son of poor farmers and the favored eldest of 10 children. After pursuing a law degree in Lahore, he took a job in Dubai for which he was overqualified; opportunities had been fewer in Pakistan, where he felt Islam was being exploited, becoming "a deliberate perversion of religion in order to maintain control over an illiterate and oppressed population." Later, after a stint in Houston, where he passed his citizenship exam, Khan attended Harvard Law School, earning "a reputation as the voice of the academic opposition." Still, he was living a quiet life outside Washington, D.C., when he became aware of Donald Trump's derogatory remarks on the campaign trail about immigrants and Muslims. When Hillary Clinton's people reached out, Khan felt it was his patriotic duty to take a stand. Discover: The Gold Star father who spoke so movingly at the 2016 Democratic National Convention is just as affecting on the page. For nearly 75 years, Al Hirschfeld (1903-2003) was the unofficial artist of Broadway, drawing his distinctive line caricatures of nearly everyone in the theater world. In her comprehensive and playful biography, journalist Ellen Stern (Gracie Mansion) captures the breadth of the congenial artist's circle of friends and his influence across a century of movies, newspapers and theater. Including dozens of illustrations and detailed footnotes, Hirschfeld is a thorough history of the man and his New York City. A Manhattan transplant from St. Louis, Hirschfeld quickly put his pen to work in playbills, magazines, newspapers, books and on the walls of commercial art galleries--and never stopped. He had many famous friends, including Eugene O'Neill, Moss Hart, Ogden Nash, S.J. Perelman, Woody Allen--as Stern notes, "When you're Al's friend, you're Al's friend." This is perhaps because he considered his whorling caricatures to be non-derogatory; he put it this way to Stern in an interview: "I prefer to think of them as 'character drawings.' "
Stern writes in colloquial, breezy prose. She is adept in her focus on the essence of the man and his art--observing of the latter: "No one's dancers--from shimmy to jeté to Fosse hip thrust--are more sensuous, with ribbon limbs, sinuous hands, and bodies arched like parentheses." Hirschfeld the artist (with his daughter Nina's name embedded in each drawing) was often the best part of the Sunday New York Times. Hirschfeld is a fitting exploration of his remarkable life. --Bruce Jacobs, founding partner, Watermark Books & Cafe, Wichita, Kan. Discover: Journalist Ellen Stern entertainingly captures the breadth of Al Hirschfeld's friendships and the impact of his distinctive theatrical caricatures. Humans, inconveniently mortal, have always hoped that death was not final. In The Apparitionists: A Tale of Phantoms, Fraud, Photography and the Man Who Captured Lincoln's Ghost, Peter Manseau (Songs for the Butcher's Daughter) introduces the photographer who offered proof that the dead aren't gone. William Mumler became a photographer in the mid-1800s. After he took a self-portrait that appeared to include his deceased cousin, the publicity spurred him to start a business taking "spirit photographs." Mumler's wife, Hannah Stuart, was a "healing medium"; together they offered séances and spirit photographs for a fee. Mumler famously photographed Mary Todd Lincoln with the ghost of her husband, President Lincoln, behind her. As unlikely as these photographs were, enough people "entered the Mumlers' studio with a private ache and left with a heart filled" that he became a celebrity. Manseau introduces contemporaneous historical figures to contextualize Mumler's work. Spiritualists like the Fox sisters encouraged a gullible public. Samuel Morse, besides inventing his code, advanced photographic technology after his wife died and he had no way to remember her face. Alexander Gardner and Matthew Brady, American Civil War photographers, contributed to the commoditization of photography. Mumler was ultimately accused of fraud and arrested. P.T. Barnum, the showman, played a part in his trial, testifying against him. Mumler was found not guilty but did not return to his former business. He went on to discover technology for magazine images, playing "a pivotal role in the creation of the image-obsessed culture that still defines the nation." Manseau brings disparate historical threads together to create an engaging narrative history. --Cindy Pauldine, bookseller, the river's end bookstore, Oswego, N.Y. Discover: The Apparitionists tells the story of those who first saw the possibilities of photographic manipulation for commercial gain. A television drama with a ludicrous premise (dying chemistry teacher cooks and sells methamphetamine to build a family nest egg), Breaking Bad was rejected by major networks and shuffled off to cable. From humble beginnings, it became a critical darling and a top-rated, multi-Emmy-winning sensation. In Breaking Bad 101, longtime critic Alan Sepinwall (The Revolution Was Televised) dissects a show so successful at captivating an audience that he watched "the greatest hour of dramatic television ever made" ("Ozymandias"; season five, episode 14) from a hospital bed after nearly dying from a burst appendix. The book includes updated show recaps supplemented with insightful details about all 62 episodes, with sidebars of insider facts and back stories, commentary from the actors and creators, as well as brilliant black-and-white comic-style artwork that exemplifies the show's dark humor. Breaking Bad 101 is incredibly fun, but shines when Sepinwall explores the elements that elevated an impractical pitch to awe-inspiring success. Discover: Alan Sepinwall offers an episode-by-episode companion to arguably the greatest television drama of all time that will satisfy artists, casual fans and series aficionados. As the word "blud" is slang for mate or companion, it's fitting that Rachel McKibbens's poetry collection leaves an impression of rough-hewn camaraderie, of bonds forged in trauma. McKibbens (Into the Dark & Emptying Field) is a poet, activist and playwright who has built her reputation as a passionate performer and chronicler of society's disenfranchised. In blud, her verse is rich with imagery and symbolism but moves with a visceral force, as if propelled by the exigencies of living, by "the delirium chorus/ of a rowing mind," as the poet states in "poem written with a sawed-off typewriter." Throughout four sections, the poems address abuse, misogyny, mental illness and various forms of trauma, but they don't wallow. They produce an urgent sense of self-determination. In "three strikes," the poet describes herself as "Hell-spangled girl/ spitting teeth into the sink,/ I'd trace the broken/ landscape of my body/ & find God/ within myself." There's also a sense in these poems of reaching out to other broken beings, especially women, evoking pathos as well as intense homoeroticism. "I want to soothe her many hands,/ trace each silver bolt of/ childbirth etched along/ her torso, taste the salted/ hole of her, this sacred,/ this blood-hot church," the poet declaims in "sermon." Discover: Poet and activist Rachel McKibbens evokes the power of the self and the bonds of womanhood in this intense and image-rich collection. For those unfamiliar with "golden shovel" poems, here's how they work: choose an existing poem, then create a new poem by ending each line with the exact words, in order, of the original poem. Here, Coretta Scott King Award winner Nikki Grimes opens with Psalm 121, and alchemizes the verses into The Watcher, a contemporary narrative about a bully and her victim who learn how to be friends. Jordan cowers and shivers in fear of Tanya, who has been "tease[d]... into meanness." When Israel, a new "kid with a weird accent" joins the class, Jordan warns him, " 'Do not/ trust Tanya!' " Jordan watches, and begins to see beyond Tanya's "pricks like a splinter." She steals because she's hungry. She growls because she's ashamed. She pushes because she worries about her ailing grandmother. Tanya gazes back, and notices Jordan doesn't laugh at her stutter. He smiles when she's angry. He sits with her when she's alone. He stays when she's afraid. Discover: In this "golden shovel" poem inspired by Psalm 121, a contentious relationship between two young classmates turns into the beginnings of friendship. Anne Shirley has been delighting readers for generations; her "genius for trouble" and the family she finds in Marilla and Matthew Cuthbert's home are timeless experiences, even with the early 20th-century setting of puffed sleeves and one-room schoolhouses. In her graphic novel adaptation of the classic story, Mariah Marsden faithfully recounts orphan Anne's story, using dialogue to shape the narrative rather than description. Whether it's getting Diana drunk on currant wine or breaking her slate on Gilbert's head after he calls her "carrots," Marsden re-creates Anne's most memorable moments in simple vignettes. The adaptation succeeds by building on Anne's high energy, incorporating simplifications of many of Anne's celebrated interjections throughout ("Would you rather be divinely beautiful, dazzlingly clever, or angelically good? I can never decide"). Discover: A classic presented in a new format that's perfectly suited for one of the most imaginative girls in children's literature.